We are all familiar with the phrase "seen but not heard." With the redefined Jamo A 102 system, Jamo gives you the opportunity to experience the exact opposite. These satellite speakers might be small in size, but the sound quality they kick out is absolutely huge in scale and pure in quality. Both woofer and tweeter are integrated into a single drive unit, a technique that makes it possible to have a genuine 2-way speakers system in an extremely small cabinet. Complemented with the newly developed Jamo SUB 210, the Jamo A 102 HCS 6 system offers a clarity, focus and impact that is unprecedented for the size of the complete system. 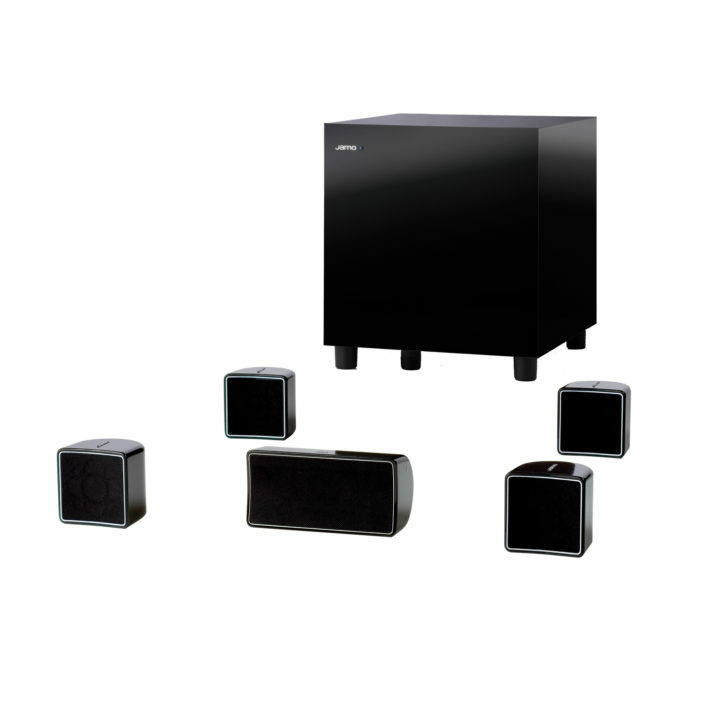 The SUB 210 subwoofer has a very small footprint that allows for unobtrusive placement, but still packs an awesome punch without sounding booming or "out of control." The Jamo A 102 HCS 6 conform to the latest equipment with respect to environmental issues, such as energy-saving.